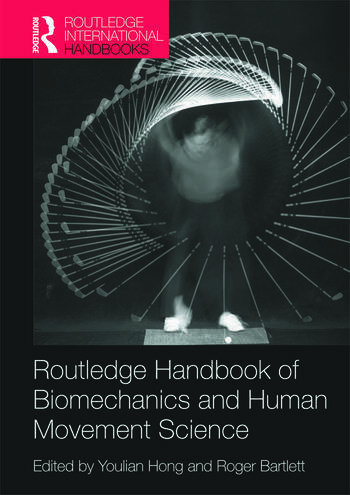 The Routledge Handbook of Biomechanics and Human Movement Science is a landmark work of reference. Now available in a concise paperback edition, it offers a comprehensive and in-depth survey of current theory, research and practice in sports, exercise and clinical biomechanics, in both established and emerging contexts. methodologies and systems of measurement. Drawing explicit connections between the theoretical, investigative and applied components of sports science research, this book is both a definitive subject guide and an important contribution to the contemporary research agenda in biomechanics and human movement science. It is essential reading for all students, scholars and researchers working in sports biomechanics, kinesiology, ergonomics, sports engineering, orthopaedics and physical therapy. Youlian Hong is the Distinguished Professor at the China Chengdu Sports University and Adjunct Professor at the Chinese University of Hong Kong. He is a fellow and the Past President of the International Society of Biomechanics in Sports. Roger Bartlett is Professor of Sports Biomechanics in the School of Physical Education, University of Otago, New Zealand. He is an Invited Fellow of the International Society of Biomechanics in Sports (ISBS) and the European College of Sports Sciences.